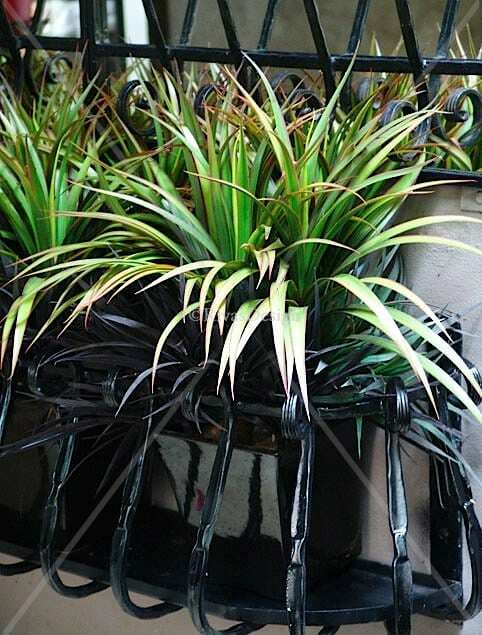 A wrought iron planter seemed a natural accessory to complement my outdoor mirrors. Because the mirrors are so perfect for bringing light into spaces, it made sense to follow that with colour. I use all manner of seasonal plants and occasionally the odd faux plant when I haven't made it to my nursery! They need to be great faux plants to look good. $110 Freight prices will be confirmed at time of order with at cost quoted. We select fragile freight service for our mirrors. 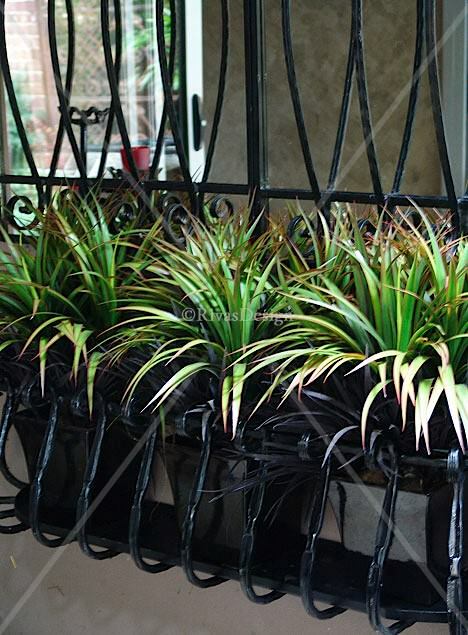 Wrought iron planter designed to sit beneath mirrors in our range. 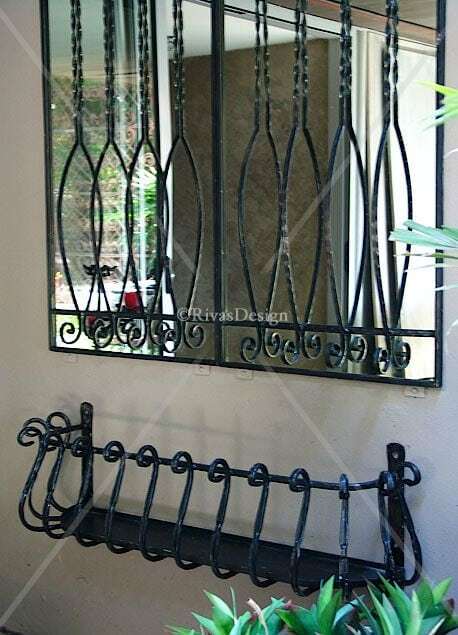 This bow fronted wrought iron planter is perfect to hang by itself or beneath this outdoor mirror. 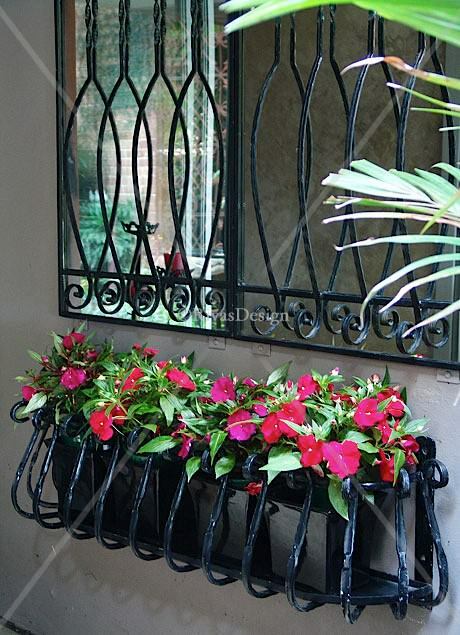 The simple bowed wrought iron brings immediate style to your outdoor spaces. 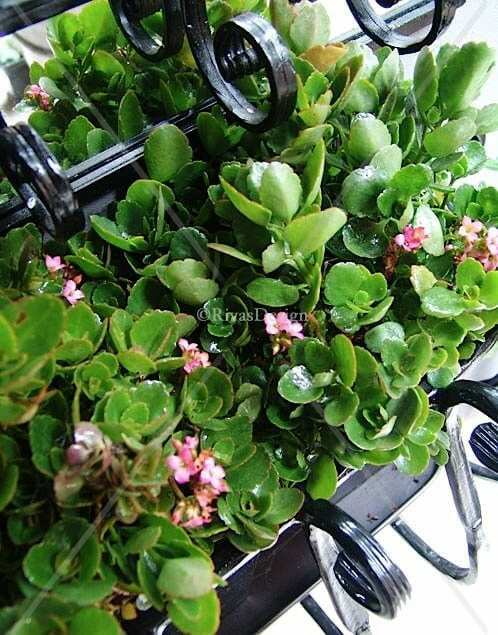 By adding some beautiful colour with seasonal plants or foliage, you can dress it up even further. When you have a plain area that could do with a lift, this is the ideal accessory to add. Simply gorgeous with a mirror above. The stylish set brings light, reflection and beautiful colour. 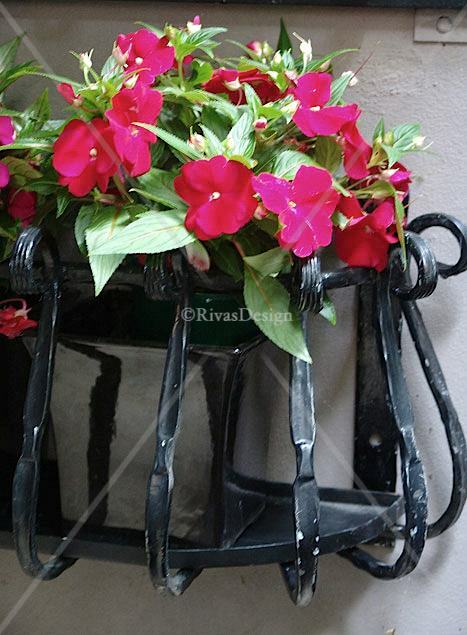 The hot dip galvanised planters come finished in black or black brushed with copper. 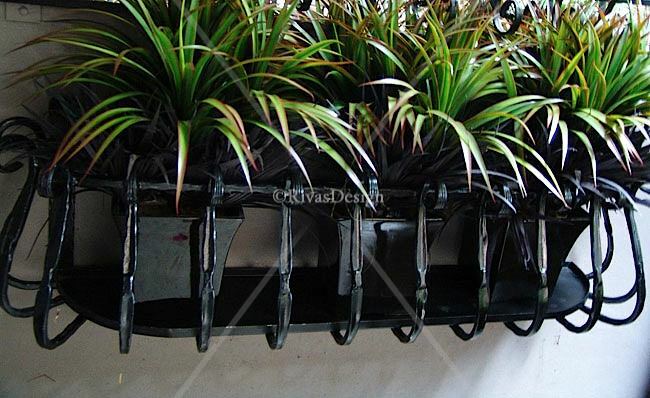 Includes a fitted drip tray to sit the plants on. Delivered Australia wide - ready to hang | Sydney| Brisbane | Melbourne | Adelaide | Perth.